American Islamic College is uniquely situated in the city of Chicago that is inhabited by one of the country’s largest Muslim American populations and where opportunities for personal growth and community involvement are countless. We have top of the line faculty with the highest academic qualifications who bring their expertise to a learning environment that fosters openness to inquiry, thought, and debate while being grounded in faith based principles. We also have a uniquely diverse AIC community in terms of gender, race, ethnicity, and age. AIC is a one of its kind learning environment. Come join us today! Familiarize yourself with tuition costs, fees, and explore scholarship opportunities to finance your education. Learn about admission requirements, how to apply, and the next steps once you’ve applied to American Islamic College. Experience campus life in residences that build lifelong friendships and bonds of faith. 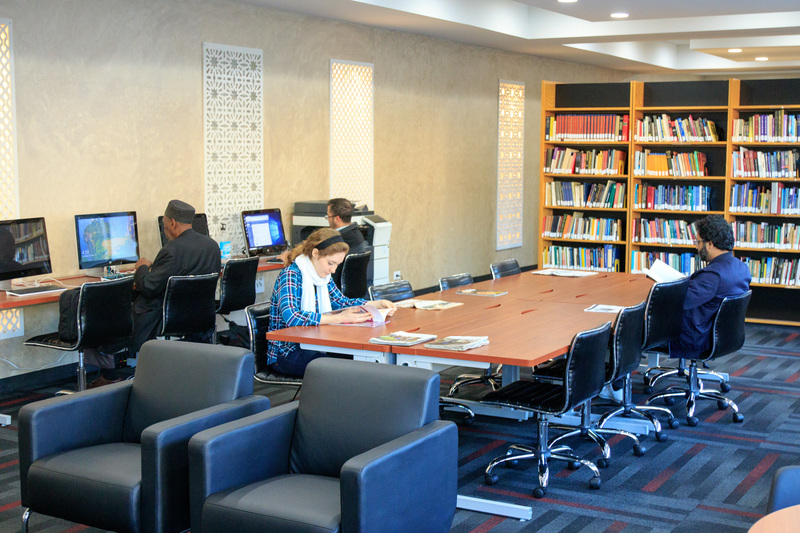 Arabic & Islamic Studies in the Heart of Chicago! View detailed program information, brochures, and other forms. Interested in becoming a student? Contact the Admissions Office to start your application. American Islamic College has operating and degree-granting authority from the Illinois Board of Higher Education. AIC is not accredited by the Higher Learning Commission, our regional accreditor.